What is MedPay? | Craven, Hoover, & Blazek P.C. ← What is a Reservations of Rights Letter? Every driver needs to have car insurance. But car insurance only covers damages to vehicles, not people. Fortunately, there is an additional type of coverage you can purchase to protect yourself and your passengers. It is called medical payments coverage, or MedPay insurance for short. It is a form of insurance coverage for “Medical Payments to Others”, rather than vehicles. In the case of an auto-related or motor vehicle accident, whether your fault or not, med pay insurance will cover the medical expenses of yourself and your passengers if injured as a result of the accident. Continue reading to learn more about MedPay, how it works, and where to obtain such insurance coverage. Any medical costs that results from an auto-related or motor vehicle accident will be paid for by a medical payments insurance policy. It pays for and protects your passengers and yourself, but it does not cover medical expenses for the people in any other vehicles involved. That would require third-party insurance coverage. 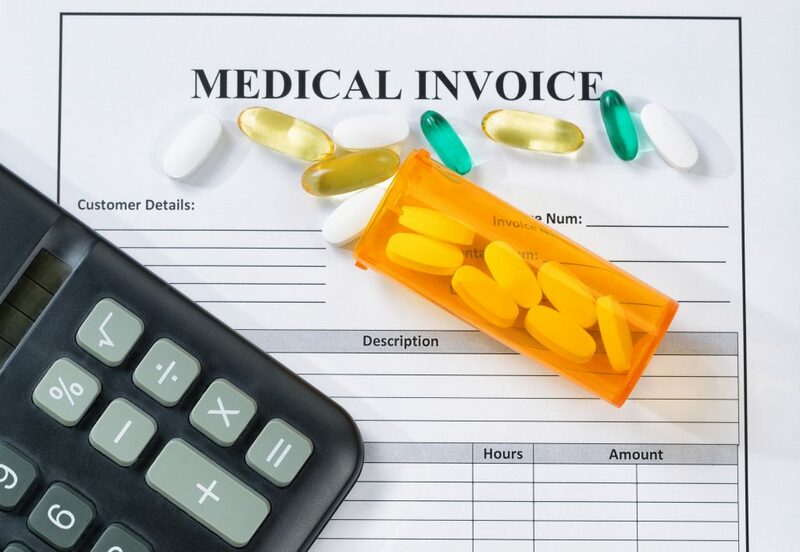 Medical payments coverage is usually set at a maximum limit of $25,000. All medical costs that exceed a MedPay policy’s limit has to be paid out of pocket, by health insurance, or third-party insurance. There is a lot of confusion when it comes to understanding MedPay coverage. Many assume it is a type of health insurance, but it is only meant to cover injuries caused by auto-related accidents, and again, only has a $25,000 payout limit. Also, health insurance will only cover your injuries, not the injuries of your passengers. Instead, med pay is more like PIP, or Personal Injury Protection. Although both types of insurance are similar, MedPay differs from PIP because it only covers medical expenses, not lost wages or other damages, like PIP coverage does. We will further discuss PIP coverage in next week’s blog, so stayed tuned! It is strongly encouraged to purchase MedPay insurance for anyone who regularly carpools as well as, for adolescent drivers. It is a lucrative expense that is well-worth it in the end. Also, medical payments insurance has to be purchased for every single vehicle owned, including motorcycles. So if you only have MedPay insurance for your Jeep, but an accident occurs while driving your Honda, you will not be covered by your MedPay policy. You need to insure all vehicles to be fully-covered. Start by calling your own car insurance provider to inquire about MedPay, but be sure to also shop around for the bet rates. For an affordable cost, you and your passenger’s medical expenses can be covered if ever seriously injured in a motor vehicle accident in your vehicle. If you or a loved one has been seriously injured in a car accident, contact a licensed personal injury lawyer right away to learn your rights and recover the full and fair compensation you are owed. Call Craven, Hoover, and Blazek P.C. at 317-881-2700 for information about personal injury car accident claims in Indianapolis, Indiana. Attorneys Keith Blazek, Ralph Hoover, and Daniel Craven have extensive trial and litigation experience in Indiana, and will work hard to recover the compensation you deserve after being seriously injured in a motor vehicle accident. We offer free initial consultations and never collect lawyer fees unless we get you money! Call 317-881-2700 to find a reputable and experienced car accident attorney in Indianapolis, IN and its surrounding counties. This entry was posted in Car Accident Lawsuits, Personal Injury and tagged car accident attorney Indianapolis, car accident injury claims, car accident lawyer, filing a personal injury claim, Indianapolis personal injury lawyer, medical payments coverage, Medical Payments Insurance, medpay, medpay car insurnace, medpay coverage Indianapolis, personal injury attorney. Bookmark the permalink.